Living in a patriarchal society that greatly constrained women’s freedom of expression, Ms. Farrokhzad was, and perhaps still is, a controversial figure in Iranian culture. Married at the age of sixteen, Farrokhzad soon sought her freedom and three years later obtained a divorce, which led to her losing custody of her infant son. Estranged now from both her own and her former husband’s families, she started working at some odd jobs and began publishing some of her poetry. In 1958, at the age of twenty-three, she landed a position as a clerk at Golestan Film Studio and developed a close relationship with its head, film producer and director Ebrahim Golestan. Soon she became involved in the studio’s production activities, and she made some trips to Europe to study filmmaking techniques. 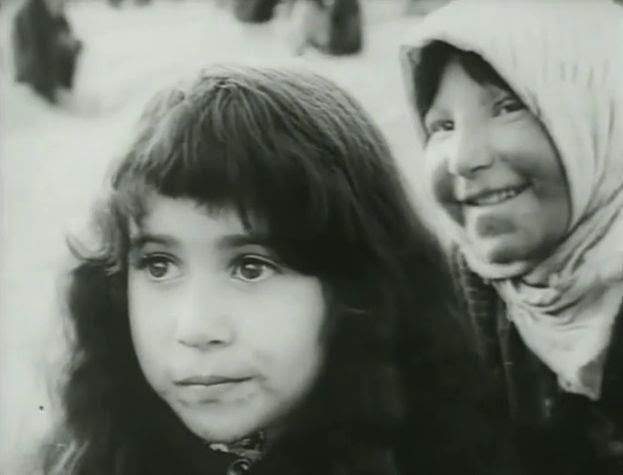 Finally in 1962 on the occasion of visiting a leper colony in Azerbaijan, she wrote and directed her major work, the documentary film The House is Black. The first level concerns the immediate and concrete conditions of the lepers in the leper colony – their circumstances of social neglect and misery. There is a second level or theme concerning how we understand and respond to what we encounter in the world, especially given the fact that there are always mysteries that we can’t explain. On this level the film contrasts two main approaches – the religious and the scientific – and how they deal with the scourge of leprosy. 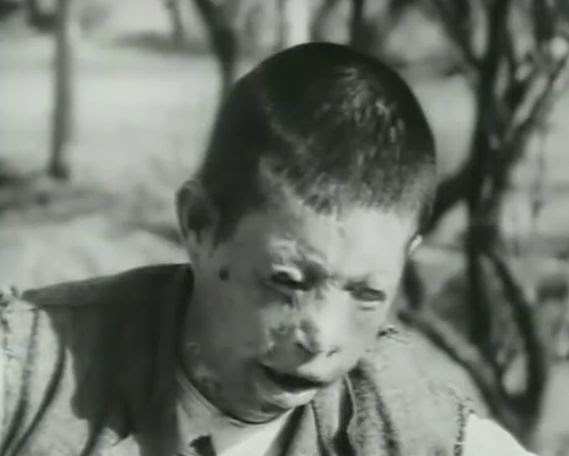 At a still more abstract level there is the despondent idea of leprosy seen as a general metaphor for the human condition. Under this guise, we are all seen as lost and lowered to the lepers’ level of misery. The film touches on these three thematic levels as it progresses through various scenes in the leper colony. Somewhat arbitrarily, I see it moving through three general stages. The film opens with a black screen warning the viewer that the forthcoming scenes will be disturbing and ugly. “I will sing your name, O Lord. I will sing your name with the 10-string lute. For I have been made in a strange and frightening shape. My bones were not hidden from you when I was being created. I was molded in the bowels of the earth. In your book all my parts have been written . . .
. . And your eyes, O Lord, have seen my fetus. I won’t see the spring. These lines are all that will remain. As the heavens circles, I fell into the bedlam. My heart is filled with sorrow. 2. How to Deal with this Affliction? But then we return to thematic level 2, as images of rational attempts to treat leprosy are contrasted with shots of people fervently reciting by rote prayers to a presumably absent or non-answering deity. The suggestion is clear: the rational approach takes positive steps, while blindly and stubbornly following ancient liturgical practices leads nowhere. Shots are shown of leprosy sufferers being treated by medics and being fed at food canteens (within the colony) that are accompanied by a male voice-over that rationally discusses leprosy. Although leprosy is chronic and highly contagious, it is a disease that can be treated and cured (it’s progress can be arrested) by antibiotics. “The universe is pregnant with inertia . . . and has given birth to time. Your hand will still weigh on me. You have made me drunk with indecision. “I speak of the bitterness of my soul. I speak of the bitterness of my soul.
. . . from my silent screams all day long. Remember that my life is wind.
. . . as those who have long been dead. On my eyelids is the shadow of death. Leave me, for my days are but a breath.
. . . the land of infinite darkness." The latter stages of the film show the deformed, crippled people exhibiting normal emotions – having fun, playing games, etc. Crippled parents are shown attending to young children (some of whom may not be afflicted with leprosy). Other scenes show women, having what appear to us as deformed faces, delightedly grooming themselves. There is even what appears to be a wedding ceremony involving these people celebrating a matrimonial union. These people, in these moments at least, appear happy. We have to ask ourselves, are they really deformed, or just different from us? Are not our impulses to turn away from these strange faces similar to the way so many people reject others from different races? There is then a well-edited scene of some boys joyfully playing with a ball. 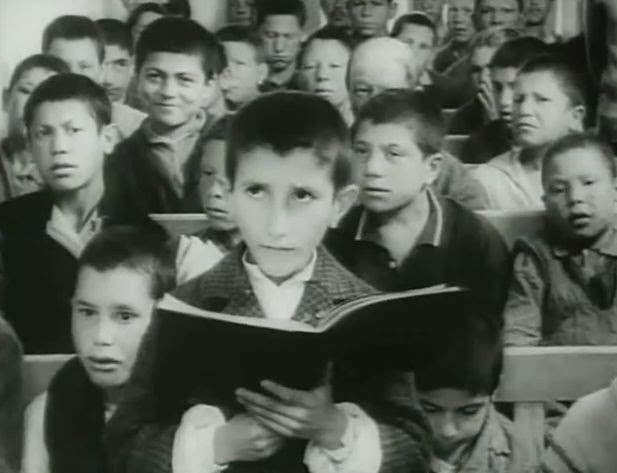 There is also a classroom scene where young boys are asked by the teacher to name beautiful things. A boy responds by mentioning items from the natural world. But when another boy is asked to name ugly things, he responds with “hand, foot, head, . . . “ He knows that his human reality is deformed. The closing mood is one of sadness and despair. We are on thematic level 3 now. Why all the suffering? Why are there such deformities? Why are we lost in this world? the evening shadows are stretching. Is filled with moons of captivity. And none among us knows how long he will last.
. . . and we did not find deliverance. Like doves, we cry for justice. . . and there is none. We wait for light and darkness reigns." Farrrokhzad's poem, “The Wind Will Carry Us”, was an inspiration for the themes and title of Abbas Kiarostami’s film The Wind Will Carry Us (1999). 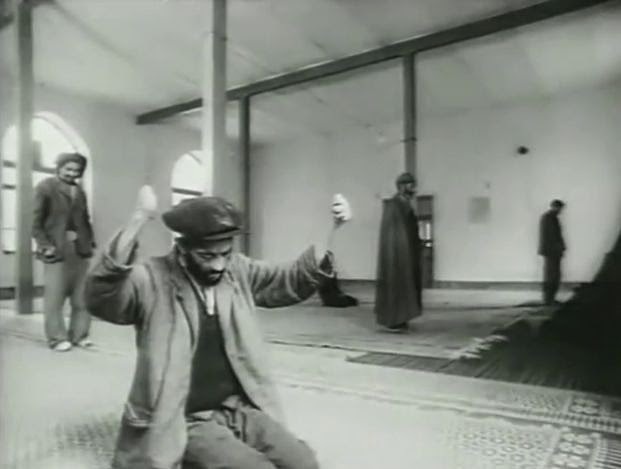 See Michael Hillmann, A Lonely Woman: Forugh Farrokhzad and Her Poetry (1987), Three Continents Press, cited in “Films/Theater”, Forugh Farrokhzad, (http://www.forughfarrokhzad.org/filmstheatre/films.htm). You may find The House is Black on YouTube – try here. "Forough Farrkhzad", Iran Chamber Society, 4 March 2015. 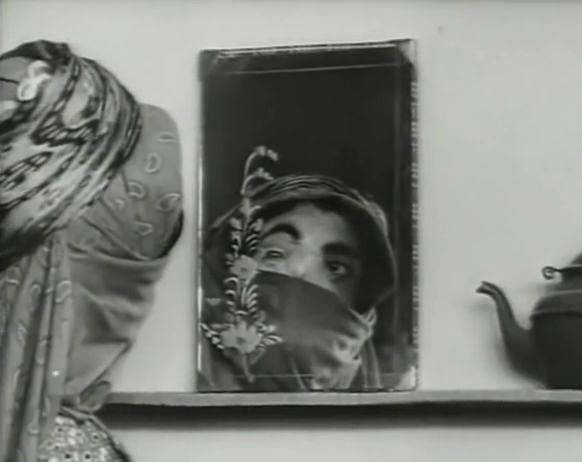 I have discussed the traditions of “direct cinema” and cinema vérité in connection with my reviews of Louis Malle’s Phantom India (L'Inde Fantôme, 1969) and Michael Moore’s SiCKO (2007). Iara de Messias-Reason, Peter G. Kremsner, and Jürgen F. J. Kun, "Functional Haplotypes That Produce Normal Ficolin-2 Levels Protect against Clinical Leprosy", The Journal of Infectious Diseases, (2009), Oxford Journals, 2009:199, pp. 801-804. “Leprosy Fact sheet N°101", World Health Organization (January 2014). Eu gostaria muito de conseguir este filme em uma boa resolução. Há copias no Youtube e vimeo, porem sem resolução boa. Voce tem como me ajudar a conseguir?